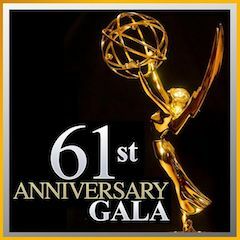 THE 61ST ANNUAL NEW YORK EMMY® AWARDS GALA: Congratulations to all of the nominees and winners! The National Academy of Television Arts and Sciences New York Chapter held it's 61st Emmy Awards last night at the Marriott. The 2018 Governors’ Award was presented to Kaity Tong, for her four decades of presenting the news with integrity and compassion. See you all again in 2019 for another star studded event!